The Nintendo 64 remains my favorite console for a variety of reasons, even though it’s been over 18 years since its North American release. If you have a similar affinity for the N64, you’ll want to check this out: A developer named Roystan Ross created a fully playable re-creation of the first level to Super Mario 64. The game works with several game controllers, Ross says, such as those for the Xbox One and Xbox 360, as well as Sony’s DualShock 3 and 4 controllers. As of this writing, the Web version appears to be offline. 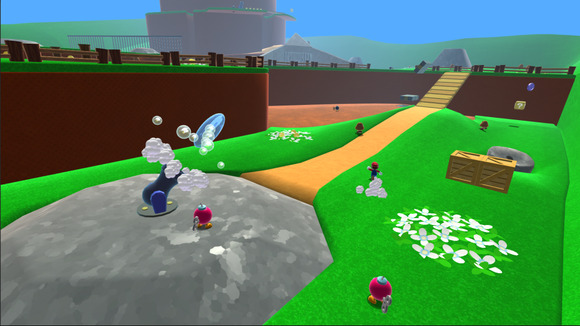 Ross offers a downloadable version of the game, though, and offers builds for Windows, OS X, and Linux. If you’re a Unity developer, you can also download the project files and get a look at the source code. Have fun, and enjoy this little flashback to an earlier era in gaming.